I'm not a Russell fan so his followers will have different opinions. One particular quirk of symbolic logic is the reason for this column. First it should be said that symbolic logic owes a great debt to Bertrand Russell for early work on that branch of mathematics. My complaint is mainly one situation that occurs when a contradiction is found in a logical sequence. The rules allow almost any type of mischief to be attached to remove the contradiction, whether the attachment has any validity or not. 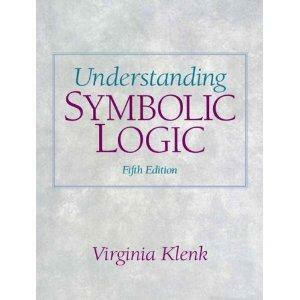 A link is given to a good introductory text on symbolic logic for people with little background in mathematics. The example is given on page 129 and 130 of the third edition. When a contradiction occurs in a logic sequence, you can use it to prove anything you wish. If I offer a contradiction to Hank, something like " the opponents are invited to prove a statement that is not true," then he actually can claim under the written rules of symbolic logic that he is the Pope. Bertrand Russell has done this to us. There are better choices that didn't make it into that particular rule. For example the rule could have said that when a contradiction occurs, one of the premises must be changed to a conditional. Then I could have said " the opponents are invited to prove a statement if it is true," Maybe it's more fun the other way, but it certainly looks like Bertrand Russell mischief.